An exceptional progression of the series! Not that I’m surprised… not even a little. 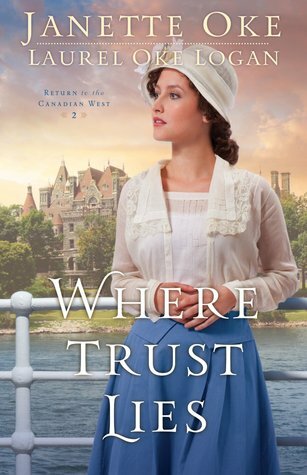 Every book I have read by Sarah Sundin has had several common threads – fantastic plot development, marvelous character development, and exceptional story-telling! Anchor in the Storm is NO different. It is a wonderful second story in this series. Sarah brings WWII to life for her readers! I – for one – love it! I love the intrigue! I love the friction! I love the romance! Sarah not only gives us a look at the tension on this side of the Atlantic during WWII – she links it to a much larger mystery that has global ramifications. 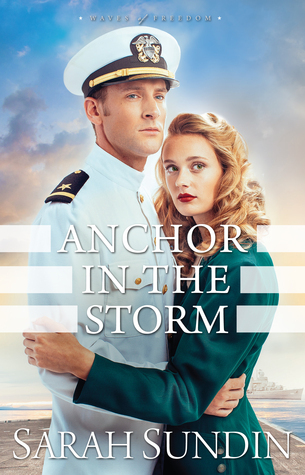 WWII, Romance and Mystery – you’ll find them all in “Anchor in the Storm” by Sarah Sundin – Tweet this! The next installment in Sarah Sundin’s Waves of Freedom series is HERE! Don’t miss it! – Tweet this! Sarah Sundin is the author of eight historical novels, including “Anchor in the Storm.” Her novel “Through Waters Deep” was named to Booklist’s “101 Best Romance Novels of the Last 10 Years,” and her novella “I’ll Be Home for Christmas” in “Where Treetops Glisten” was a finalist for the 2015 Carol Award. A mother of three, Sarah lives in California, works on-call as a hospital pharmacist, and teaches Sunday school. Find out more about Sarah at http://www.sarahsundin.com/. If you loved The Trouble With Patience by Maggie Brendan do not miss A Sweet Misfortune – book 2 in this exceptional series. Yes, the cover is another winner! The wistfulness on the heroine’s face will draw you in and have you picking up the book. From there, you’ll read the back cover copy – and you won’t want to put it down. Of course, you’ll want to buy the book first… and then start reading, because once you open the book, you won’t want to close it! And I can hardly wait for the next installment! I LOVE reading about these spunky women who don’t take any guff from the men around them who think so much of themselves. DON’T MISS this great NEW Texas romance by Maggie Brendan! – Tweet this! Rachel Matthews isn’t one to rely on others to take care of her. Destitute and alone, she still wants to make her own way and her own money–even if she’s forced into the life of a dance hall girl. 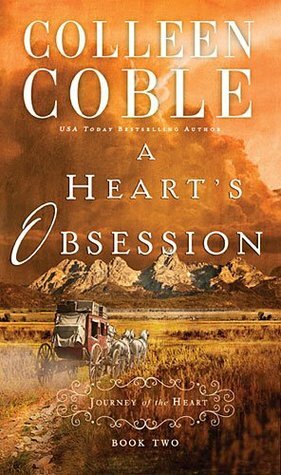 Horrified by her circumstances, Rachel’s brother sends a friend–the widely admired cattle baron John McIntyre–to rescue her, then sets off to earn enough money to buy back the family ranch. But when months pass without her brother’s return, Rachel isn’t sure she can take one more day in John McIntyre’s home–especially once she discovers that he’s the one who holds the deed to her family’s ranch. 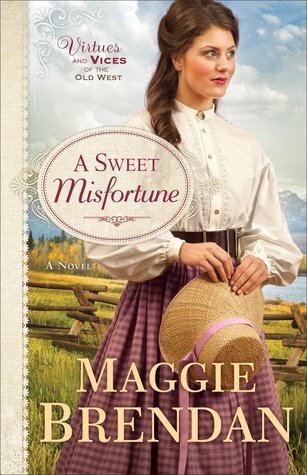 Sparks fly between this spunky, independent heroine and the ruggedly handsome hero as they navigate the snarled terrain of pride, greed, faith, and love in Maggie Brendan’s delightful series set in the Old West.Maggie Award of Excellence and the 2013 Heart of Excellence Readers’ Choice Award. I was blessed to receive a review copy of this book. The opinion stated is my own. “Through Waters Deep” by Sarah Sundin | Book 1 of the Waves of Freedom series! Another triumph from Sarah Sundin! Not that I’m surprised… not even a little. I have high expectations every time I pick up a book by Sarah – and I’ve not yet been disappointed! Through Waters Deep is getting rave reviews… and it’s no wonder. Aside from the fact that the story starts off with… well, not with a bang, but almost… the added mystery aspect is a clear winner! I know I love it! It’s like Nancy Drew has stepped into history! Sarah skillfully shows us the tension that existed on this side of the Atlantic during WWII. Jim and Mary are in a unique situation and with tensions rising abroad, many might have forgotten about the stress WWII put on the people at home. Sarah expertly takes us through espionage and sabotage… a very personal war right here on U.S. soil, using our main characters Mary and Jim. Jim is a seemingly average handsome young officer – but there are depths to him that Mary has a talent for bringing to the surface. It doesn’t hurt either that Mary has a clever wit and a sharp mind. She may be a bit of a shrinking violet but when push comes to shove, she definitely does the unexpected! The romantic portion of the story is very well done too. I won’t spoil it for you but it’s not your typical guy sees girl, guy is attracted, girl is attracted, romance ensues… but then Sarah’s romances never fit neatly into a mold – which I LOVE! Life doesn’t fit into a mold so it’s much more realistic that way! 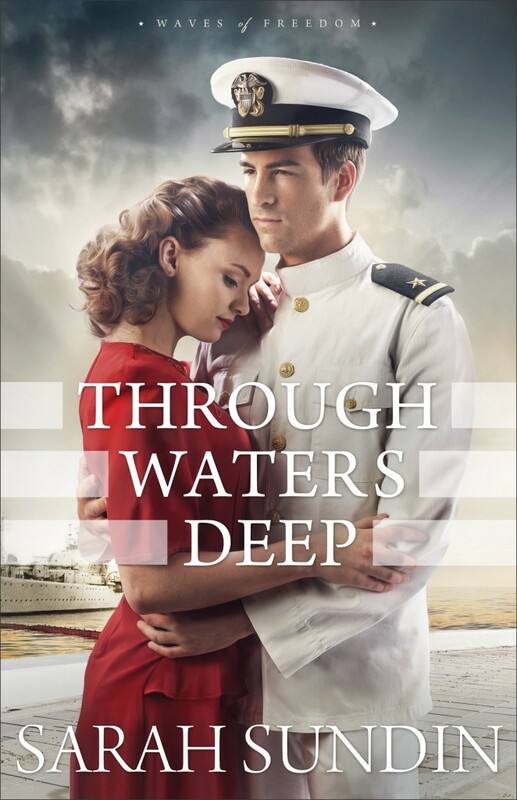 WWII, Romance and Mystery – you’ll find them all in “Through Waters Deep” by Sarah Sundin – Tweet this! “Through Waters Deep” by Sarah Sundin – book 1 in the NEW Waves of Freedom series! Don’t miss it! – Tweet this! It is 1941 and America teeters on the brink of war. Outgoing naval officer Ensign Jim Avery escorts British convoys across the North Atlantic in a brand-new destroyer, the USSAtwood. Back on shore, Boston Navy Yard secretary Mary Stirling does her work quietly and efficiently, happy to be out of the limelight. Yet, despite her reserved nature, she never could back down from a challenge. When evidence of sabotage on the Atwood is found, Jim and Mary must work together to uncover the culprit. A bewildering maze of suspects emerges, and Mary is dismayed to find that even someone close to her is under suspicion. With the increasing pressure, Jim and Mary find that many new challenges–and dangers–await them. Lori Benton excels at writing fiction taken from REAL events! It is a singular talent that God has blessed her with and the world is a richer place for having her work out in it. What is even more amazing is that, Lori and other authors like her have drawn me in to the past and taught me so much that I never learned in school. No dry textbook this… No, this is a living, breathing, vibrant story that will hold you entranced until the very last page! Don’t miss it! And don’t miss her other books! 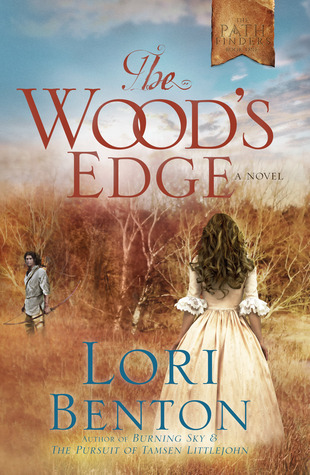 Lori has quite a long list of amazing books to her name and I’m certain her fans will demand many more to come! I hope you’ll give this wonderful book a chance. I’m certain you’ll enjoy it as much as I did! ,I was blessed to receive a copy of this book free in exchange for an honest review. I reviewed this book almost two weeks ago now and I am still amazed at just how great a read it was! Be sure to check out Maggie’s other books too! I know I will be! The Trouble With Patience by Maggie Brendan is a MUST READ! From the amazingly eye-catching cover to the absolutely unforgettable characters – this novel is one you’ll be thrilled to add to your library. This is my first book by Maggie Brendan and it has most definitely sparked my interest. I can hardly wait to go and find more fantastic books by this talented author! Maggie Brendan weaves an intriguing story around realistic characters while still filling the pages with intricate details and story tidbits that make this a very real story! Virtues and Vices of the Old West – a PERFECT name for this series in my opinion. A Texas women, a dilapidated boardinghouse, a small-town Sheriff – a recipe for romance…? – Tweet this! Patience Cavanaugh has lost faith in love – can Jedediah Jones change her mind? – Tweet this! As I said with the last historical fiction novel I reviewed – If only we’d had these kind of books in high school… I would certainly remember more about that time in history. Thank goodness we have such amazing writers who research so very thoroughly and then sprinkle in those facts among their fictional story! Maggie Brendan is the bestselling author of the Heart of the West and The Blue Willow Brides series. Winner of the 2014 Book Buyers Best Award (OCC/RWA) for inspirational fiction and the 2013 Laurel Wreath Award, she was a finalist for the 2013 Published Maggie Award of Excellence and the 2013 Heart of Excellence Readers’ Choice Award. I just know you’ll ENJOY the book! the next one in the series as much as I am too! I have been so excited to get my hands on “The Last Heiress”by Mary Ellis! And may I just say… this one is different! Mary Ellis made a fan out of me with the very first story in this series… ironically enough a FREEBIE novella – and I’ve been hooked ever since! The Last Heiress is somewhat the opposite. Amanda Dunn is what the name implies – an heiress. She is every inch the lady and she is in America for one reason and one reason only. She could never have expected what happened and once she finds herself in the inconvenient position of having fallen for someone who is most certainly not the kind of man she might have expected – she has some choices to make. Those decisions are made even more difficult by her well-meaning family and the man in question himself. Not only has Mary written another terrific story, she has introduced even more about the Civil war era that I don’t remember from history class! She Crossed the Sea to Save a Legacy. Finding Love Was Not Part of Her Plan. – Tweet this! Business, Pleasure and The Civil War! Will there be romance too? – Tweet this! 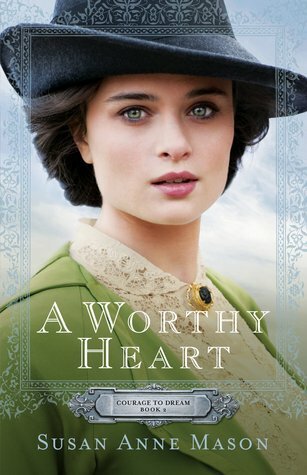 DON’T MISS this great stand-alone in the Civil War Heroines series by Mary Ellis! – Tweet this! Bestselling author Mary Ellis (A Widow’s Hope) presents The Last Heiress, a new romantic standalone that intertwines the lives of a British manufacturing heiress and an American merchant caught in the turbulent time of the War Between the States. Amanda Dunn set sail from England for Wilmington, North Carolina, hoping to somehow restore shipments of cotton for her family’s textile mills, which have been severely disrupted by the American Civil War. But when she meets Nathaniel Cooper, her desire to conduct business and quickly return to England changes. Amanda’s family across the sea deems the hardworking merchant unsuitable for the lovey and accomplished heiress. And when Nate himself begins to draw away, Amanda has her own battle for a happy future on her hands. As the War Between the States heats up, Nate’s brother, a Confederate officer, comes for a visit. Nate begins to think about joining up—not in support of slavery but to watch his brother’s back. Yet will this potentially life-changing decision put the union between him and Amanda she so wishes for in jeopardy? “The Lady and the Officer”by Mary Ellis is quite an excellent read! This story is so different from The Quaker and the Rebel and yet… so much the same. THIS time, we are seeing the war from the eyes of a well-to-do “Yankee” instead of a quietly rebellious Quaker. However, both stories have our heroine living with staunch southern supporters and it is an intriguing conundrum to say the least. I highly commend Mary Ellis for being able to switch viewpoints so drastically and write each so convincingly! I knew Mary was a terrific writer after reading the two previous books but this story has shown me a new depth to that talent and I am in awe! Ironically, seeing this series from so many perspectives has me wondering where my own loyalties would have lain had I been living in the time. I always thought I knew but reading about these heroines and their ideals – and the men they fall for… and their ideals – has me wondering. And that is the best kind of book – one that gets under your skin and into your heart and REALLY makes you think! From Quakers to Spies – The Lady and the Officer by Mary Ellis! – Tweet this! DON’T MISS book 2 in the fantastic series by Mary Ellis! – Tweet this! Bestselling author Mary Ellis (A Widow’s Hope) presents The Lady and the Officer, Book 2 of her new Civil War historical romance series, which tells the stories of brave women and the men who love them. “The Quaker and the Rebel”by Mary Ellis is such an excellent read! 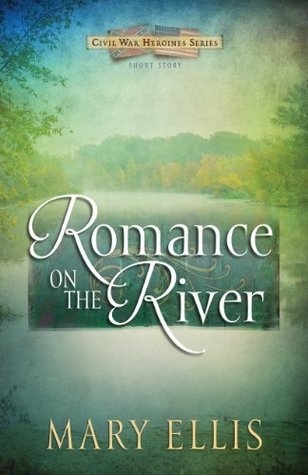 If you read my previous post, you know I was never a fan of war romances… WWII, WWI or Civil war… until I read Romance on the River – the FREE eBook novella that introduced this series. And here I sit, a converted FAN! And I can not wait to review the next book… and the next… and I hope there will be MORE coming soon! I was going to rewrite my review because that’s what I usually do when I look back but no matter how I look at it, I can’t do better than I already have. This book will make you laugh, make you cry and it will give you an entirely new outlook on the Civil war era! Reading about the outcome of so many tragic battles and the stealth, determination and dedication needed to help abused slaves escape to freedom in a dry history book simply can not give you the same impact as reading about your heroine’s reaction to the horror and danger associated with the very same things in a work of fiction. Mary Ellis gives us all of that – first through the eyes of a staunch Quaker who is disturbed by the Southern lack of understanding as to why owning another human being is wrong, and then through the eyes of a gentile southern gentleman who is trying to do everything he can to help his precious south move into the future with as little bloodshed as possible. It is an adventure that won’t soon be forgotten and it has given me an entirely new outlook on this portion of our country’s troubled past. I will never look at another Civil War battlefield the same way again, I can assure you! Not only that… the book is extremely well-written. You can hear the skirts swish, the hooves pound and even feel the pain of corset stays. The experiences are written with such emotion attached, as well as descriptive language. And, while it is not described in the ugliest terms, nothing about the tragedy and hardship about this particular time on our bloody history is glossed over. Mary Ellis has made a fan out of me! 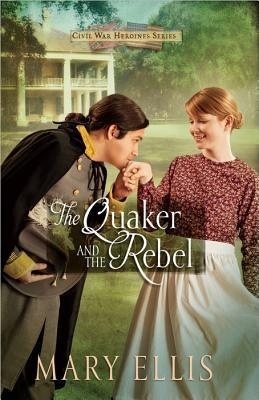 The Quaker and the Rebel – book 1 in Mary Ellis’ NEW Civil War Heroines series! – Tweet this! Don’t miss this exciting look at the underground railroad by Mary Ellis! – Tweet this! Mary Ellis is a genius! This eBook was JUST enough to get me excited about a book that I had not previously intended to read. After reading this tantalizing tome, I simply had to read the book that followed! It doesn’t matter how short the story is, it is expertly written! Mary gives you just enough information to make you want to move right on to The Quaker and the Rebel! I am thrilled that more and more authors realize how much their readers enjoy these extra looks into the story! They can’t possibly put absolutely everything into the main book or each one would be 1,000 pages and readers just don’t have the patience for that. Which is what makes these extra stories so perfect – it gives us a bonus story that otherwise we would miss. And it doesn’t hurt that it makes some readers who wouldn’t otherwise consider the book – excited to read it! So… don’t miss it – especially since it’s FREE! You can download this short prequel on a number of eBook retailer sites and I have linked as many of them as I could find. Nearly all of them support an app or a reading program that will work on your e-reader, tablet, phone or even your computer. This short story prequel by bestselling author Mary Ellis provides an early glimpse into the life of Quaker Emily Harrison. Laced with humor and a sweet love story, this bonus material also contains the first chapter of Emily’s continuing journey in The Quaker and the Rebel, Book 1 of the Civil War Heroines series. Summer 1861—Emily Harrison is finding life a bit overwhelming. Alone on her family’s farm, she must take on the roles of both housekeeper and farmer. She cares for the garden, makes plans for planting the fields, and milks the cows, all the while creating havoc in the home her mother used to keep immaculate. That is in addition to providing a safe house as part of the Underground Railroad. To “purchase” the FREE eBook, click HERE for ChristianBooks, HERE for Lifeway, HERE for Amazon, HERE for Barnes and Noble, HERE for Google Books and HERE for iTunes. Want to WIN a copy of Maggie Brendan’s NEW book – The Trouble With Patience? Who is excited about this NEW series! Maggie Brendan has even more information about this wonderful NEW book in this exciting NEW series on her WEBSITE! Now on to how you can enter to WIN this exciting new book! Will this be your first book by Maggie Brendan or have you read any/ many others? Do you follow my blog? 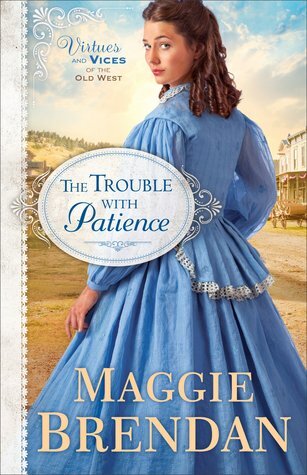 Enter to WIN a copy of Maggie Brendan’s NEW book – The Trouble With Patience! – Tweet this! Enjoy Historical fiction? Want to WIN The Trouble With Patience! ENTER HERE! – Tweet this! Contests are only open to residents of the continental U.S.